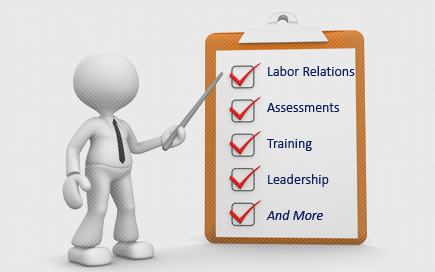 Labor Relations News Update August 29, 2014 | Oliver Bell, Inc.
Are labor unions on the rise? After decades of losing members, legislative defeats and a declining return on labor, American unions have stopped looking within for the answer. Now they’re looking to you. Once focused mostly on the narrow goals of its members, unions of late have sought to spark broader civic movements. Big unions like the SEIU are funding groups like OUR Walmart and Fight for 15, which advocate for workers’ rights — though not many Wal-Mart or fast-food workers seem to show up at their demonstrations. Others are taking workers’ battles up the supply chain — in some cases, all the way to Wall Street, whose banks they accuse of charging employers predatory fees. And some unions have found creative ways to enlist parents and citizens in their battles, so that when contract negotiations roll around, they’re armed with reinforcements and can’t be easily labeled as greedy. Call these methods hacks, call them alt-labor, call them workarounds: They all aim at getting labor out of the corner that it says it’s been painted into for the past 40 years. By most accounts, organized labor in the United States has been on the outs for decades. Last week’s Supreme Court decision, Harris v. Quinn, chipped away at a cornerstone of union operations — agency fees — and though the decision was narrow, the Court signaled it’d take a wrecking ball to the whole edifice if given the chance. Many in the labor movement had been preparing for worse. There’s no doubt that traditional unions have not kept up with the shifting economy or our politics. For years after the Wagner Act of 1935, which regulated employer-union relationships, most unionists worked in manufacturing. Membership peaked in 1954, at 28.3 percent. Some years later began the long slide of globalization. As factory jobs moved overseas and the American workforce shifted to service-economy jobs, manufacturing lost leverage and unions lost members. Despite pouring millions of dollars into luring new members, the movement never made much of a dent in the service economy. Public-sector workers are a different story. Some 35 percent are unionized, and most can’t be offshored. Many provide vital services, like home care, trash collection, teaching and policing. In many ways, they’re the heart of the union movement, which Harris hurt so much. It’s also one reason that alt-labor considers public unions promising ground: The public has a clearer stake in teachers’ working conditions and sanitation workers’ wages than, say, auto workers’ wages. Alt-labor won a key victory in February during teacher-contract negotiations in St. Paul, Minnesota, by rallying community members to the teachers’ cause and pushing negotiation limits. The teachers’ union had spent the previous year on a listening campaign: Think “house parties, book discussions and focus groups” for parents and community members. All those house parties generated a list of demands that went well outside the usual — salary, hours — and into a vision for the school system. The resulting contract hikes teacher salaries, but also invests $6 million in pre-K education; hires 42 professional support staff, like librarians and social workers; limits class size; and reduces class time devoted to standardized testing. Such strategies might not work everywhere. They likely breached “management prerogative,” a practice that prevents unions from bargaining for much outside wages and hours. But just as important, such demands might be too narrow in appeal. Seeking community involvement and forming qualitative demands are strengths of alt-labor. But they’re also liabilities; it’s hard to come up with unified demands. Another alt-labor strategy bargains up the labor supply chain. It’s a recognition that “the entity that decides how much people are going to get paid is rarely the direct employer,” says Stephen Lerner, who organized the Justice for Janitors campaign. Employers these days are often middlemen, squeezed and lacking much room to maneuver themselves. Beginning in the 1980s, Justice for Janitors organized custodians not against their direct employers — cleaning companies — but against the real power players: the building owners who hired the cleaning companies. Like the Mexican crawfish pickers who forced Wal-Mart to sunder ties with their employer, or the Florida tomato pickers who organized a boycott of Taco Bell, such methods try to locate responsibility somewhere. As supply chains have lengthened, workers are bargaining all the way up to Wall Street. Last week saw the start of what is likely to be a protracted negotiation between Los Angeles and its city employees, including its trash collectors. The trash collectors don’t want just a raise; they also want the city to stop paying “predatory fees” to Wall Street bondholders. They’ve driven circles around City Hall, honking their horns and clanging cowbells. Last week, the National Labor Relations Board upheld an Administrative Law Judge’s decision that a Jimmy John’s franchisor violated the National Labor Relations Act for disciplining and discharging several employees who were engaged in protected and concerted activity. In MikLin Enterprises, Inc., 361 NLRB No. 27 (Aug. 21, 2014), the Board determined that Respondent MikLin Enterprises, Inc. unlawfully terminated six employees who posted posters implying that sick workers were making customers’ sandwiches, reasoning that the posters were sufficiently connected to a labor dispute and not so malicious or disparaging as to lose the protections of the Act. The case arose from MikLin’s policy not to provide paid sick leave to its employees. Instead, the employees were required to find replacements for their shift if they were too sick to come in. Failure to do so could result in discipline. In protest against MikLin’s sick leave policy, the Industrial Workers of the World union (IWW) placed the below poster mocking the policy on bulletin boards inside MikLin’s stores in customer areas. MikLin’s managers removed the posters whenever they found them. Not long after the posters began appearing in MikLin’s stores and in public places nearby, MikLin terminated six employees and issued written warnings to three others for hanging the posters. Ultimately, the Board determined that the posters were both clearly related to a labor dispute and not reckless or so maliciously untrue as to lose the protections of the Act. Communications will only be found to be “maliciously untrue” where they “are made with knowledge of their falsity or with reckless disregard for their truth or falsity.” The fact that a statement is false or misleading is not enough to cause it to become unprotected. Accordingly, despite the poster’s admonition that “WE CAN’T EVEN CALL IN SICK” was demonstrably untrue, the Board held that it was an accurate portrayal of the policy because employees would have to take the further step of finding their own replacement. The Board also affirmed the ALJ’s determination that MikLin violated section 8(a)(1) of the Act when an assistant manager encouraged employees and supervisors to harass a union supporter via Facebook. The harassment, which included posting the supporter’s phone number online, was unlawful because it would reasonably intimidate both the supporter and other employees from supporting the union. Member Johnson authored a strong dissent, arguing that the posters were disloyal communications and thus were unprotected. Section 7 of the Act does not confer on employees an unlimited right to disparage the quality of their employer’s products with an intent to cause harm to their employer’s reputation, or reduce its income, or with reckless disregard for such consequences of their actions, even if their efforts can be linked to a legitimate labor dispute. 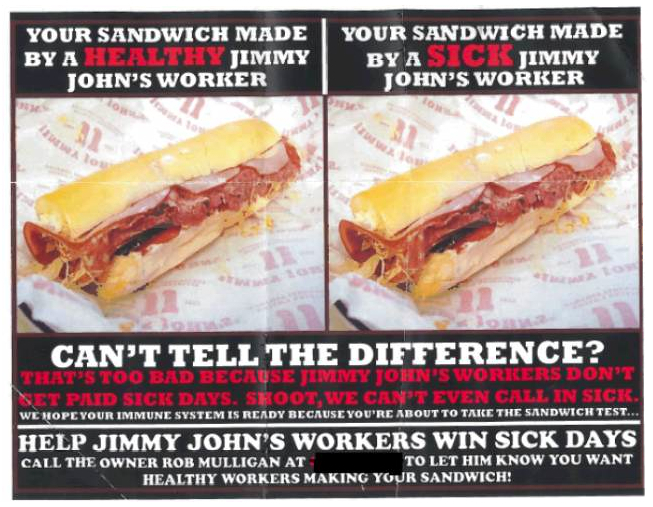 In effect, Member Johnson argued that the disparaging posters were totally out of proportion with the dispute regarding sick leave because the posters attacked both the reputation of MikLin and the Jimmy Johns franchise. The dissent also explained that the posters should have been unprotected communications because they were both false and maliciously motivated. This decision should cause employers to sit back and take notice. The Board has signaled here that employers will face a very high hurdle when arguing that employee communications touching on labor disputes are unprotected activities. Accordingly, employers should tread carefully and consult counsel before issuing discipline in response to employee communications. The Nigerian Union of Petroleum and Natural Gas Workers (NUPENG) yesterday said it was resuming the strike it suspended early in July this year. The NUPENG members had been spoiling for war over alleged improper retrenchment of its members by the management of American oil giant, Chevron Nigeria Limited, claiming that the company had refused to bend despite intervention by the Federal Ministry of Labour. It stated that NUPENG had decided to embark on the strike in solidarity with their sacked members at Chevron, alleging that the company had failed to honour a communiqué reached with the body on July 10th, 2014, which reportedly followed the effort of the Federal Ministry of Labour and Productivity to resolve all outstanding industrial disputes. The statement said, “As a result of the refusal of the Chevron Nigeria Limited management to honour the communiqué of July 10 issued at the instance of the Federal Ministry of Labour and Productivity, Abuja, to resolve the industrial dispute between the union and Chevron management, the strike action that was earlier suspended is hereby resumed”. The Warri Zonal Council of NUPENG comprises mainly states in the South-south geo-political zone, though the effect of such strike could send fuel scarcity ripples through neighbouring states across the Niger and even parts of the South-west states. However, the attempt by THISDAY to get Chevron’s reaction to the NUPENG’s claims was unsuccessful as the phone of the media officer in Warri office of the company was said to be “switched off”. Another officer contacted also in the Warri office of Chevron promised to send THISDAY the phone number of a competent official at Chevron’s “Communication Department”; but the number was still being awaited at the time of filing this report. The Summary of NLRB Decisions is provided for informational purposes only and is not intended to substitute for the opinions of the NLRB. Inquiries should be directed to the Office of Public Affairs at Publicinfo@nlrb.gov (link sends e-mail)or 202‑273‑1991. Nichols Aluminum, LLC (25-CA-082690; 361 NLRB No. 22) Davenport, IA, August 18, 2014. Reversing the judge, a Board majority found that the Respondent violated Section 8(a)(3) by discharging employee Bruce Bandy for making a “cut throat” gesture towards a coworker. The majority found that the Respondent expressed animus towards a recent strike by the timing of Bandy’s discharge (shortly after strikers returned to work) and by conditioning the rehiring of returning strikers on a promise to not engage in a strike over the same dispute. The majority further found that the Respondent did not reasonably construe Bandy’s gesture as a threat of imminent harm that would justify discharge under its zero tolerance policy. In so finding, the Board majority explained that the Respondent did not enforce this policy in a consistent manner and generally resolved verbal conflicts between employees through lesser means. In a dissenting opinion, Member Johnson questioned whether the no-strike pledge was sufficient evidence of animus to satisfy the General Counsel’s prima facie case. Even assuming, however, that the pledge was a general expression of animus, there is no link between the pledge (which Bandy signed) and the discipline. In addition, as to the zero tolerance policy, Member Johnson would not substitute the Board’s judgment for that of the Respondent as to the manner in which it administered an established policy. The charges were filed by Teamsters Local Union No. 371. Administrative Law Judge Michael A. Rosas issued his decision on April 8, 2013. Chairman Pearce and Members Hirozawa and Johnson participated. Modern Management Services, LLC d/b/a The Modern Honolulu (20-CA-072776, et al. ; 361 NLRB No. 24) Honolulu, HI, August 18, 2014. The Board adopted the Administrative Law Judge’s finding that the Respondent violated Section 8(a)(1) by interrogating employees about their union activity and by refusing an employee’s request for representation during an investigatory interview. The Board also agreed with the judge’s finding that the Respondent violated Section 8(a)(5) and (1) by denying a former employee access to the Respondent’s facility in her capacity as an agent of the Union. A Board majority consisting of Chairman Pearce and Member Hirozawa agreed with the judge’s finding that the Respondent violated Section 8(a)(1) by surveilling employees’ union activity, creating the impression that it was monitoring such activity, and discharging an employee for engaging in protected concerted activity. Member Johnson, dissenting in part, concluded that the Respondent did not engage in unlawful surveillance of employees’ union activity, or create the impression thereof, when the Respondent’s supervisor attended an open bargaining session which the Union had invited employees to attend. Contrary to his colleagues, Member Johnson would also not find that the Respondent created an impression of surveillance when, in the presence of an employee, its director told its supervisor to attend the open meeting, because the Respondent did not have fair notice that the judge would pass upon the unalleged violation. Chairman Pearce and Member Hirozawa found that the judge’s finding of the unalleged impression of surveillance violation did not deprive the Respondent of due process because the facts that formed the basis for the violation were fully litigated by the parties and the issue was closely connected to the complaint’s surveillance and impression of surveillance allegations. With respect to the discharge violation, Member Johnson, dissenting, would remand the issue to the judge to make more explicit credibility resolutions and to address the record evidence at odds with the judge’s conclusion that the terminated employee’s conduct remained protected under the test of Atlantic Steel Co., 245 NLRB 814 (1979). Contrary to their colleague, Chairman Pearce and Member Hirozawa, noting that explicit credibility resolutions are unnecessary where a judge has implicitly resolved conflicts in the testimony, found that the judge’s credibility resolutions were adequately supported. Charges filed by Unite Here! Local 5. Administrative Law Judge William L. Schmidt issued his decision on January 23, 2014. Chairman Pearce and Members Hirozawa and Johnson participated. Parsons Electric, LLC (18-CA-109253; 361 NLRB No. 20) Minneapolis-St. Paul, MN, August 18, 2014. The Board found that Parsons Electric, LLC violated Section 8(a)(5) and (1) of the Act by unilaterally changing the written break policy contained in its employee handbook and by unreasonably delaying in furnishing the Charging Party Union with requested information. Charges filed by International Brotherhood of Electrical Workers, AFL-CIO, Local No. 110. Administrative Law Judge Michael A. Rosas issued his decision on April 8, 2014. Chairman Pearce and Members Hirozawa and Johnson participated. Lederach Electric, Inc. (04-CA-037725; 361 NLRB No. 21) Lederach, PA, August 19, 2014. As a result of the Supreme Court’s decision in NLRB v. Noel Canning, a Division of the Noel Corp., 134 S.Ct. 2550 (2014), the Board has considered de novo the Administrative Law Judge’s Supplemental Decision and Order. The Judge’s Supplemental Decision found that four discriminatees would have continued to work through the backpay period claimed in the compliance specification, ordering backpay in the amounts set forth in the compliance specification. The Board adopted the Judge’s Supplemental Decision and Order to the extent and for the reasons stated in the Board’s vacated Supplemental Decision and Order reported at 359 NLRB No. 71, which was incorporated by reference. Chairman Pearce and Members Hirozawa and Johnson participated. Leader Communications, Inc. (17-CA-069008; 361 NLRB No. 28) Oklahoma City, OK, August 20, 2014. In view of the Supreme Court’s decision in NLRB v. Noel Canning, 134 S. Ct. 2550 (2014), the Board considered de novo this case. The Board adopted the Administrative Law judge’s recommended Decision and Order to the extent and for the reasons stated in the Board’s vacated Decision and Order reported at 359 NLRB No. 90, which was incorporated by reference. In that Decision, the Board adopted the Judge’s finding that the Respondent bargained in bad faith when it repudiated, without good cause, the November 29, 2011 tentative agreement with the Union. The Board did not rely on the judge’s findings that the Respondent bargained in bad faith by other conduct. The Board found further support for the judge’s finding that the Respondent’s sole negotiator at the bargaining sessions was authorized to bind the Respondent to the November 29, 2011 tentative agreement. Member Johnson included a footnote explaining his rationale for not relying on the judge’s finding that the Respondent bargained in bad faith by other conduct. Administrative Law Judge Gerald M. Etchingham issued his decision on July 5, 2012. The charges were filed by International Association of Machinists, AFL-CIO, Local 171. Chairman Pearce and Members Hirozawa and Johnson participated. MikLin Enterprises, Inc., d/b/a Jimmy John’s (18-CA-019707, et al. ; 361 NLRB No. 27) Minneapolis, MN, August 21, 2014. The panel majority affirmed the Administrative Law Judge to find that MikLin Enterprises unlawfully disciplined three employees and unlawfully discharged six employees because of their involvement in a protected publicity campaign, which sought support for employees’ desire for sick leave benefits. Relying onJefferson Standard, 346 U.S. 464 (1953), and related cases, including MasTec Advanced Technologies, 357 NLRB No. 17 (2011), the majority agreed with the Administrative Law Judge that nothing in the posters or press release was so disloyal, reckless, or maliciously untrue to cause employees to lose the Act’s protection. Member Johnson disagreed. In his view, the posters that contained images of MikLin’s signature product and statements implying the product would make the public ill, and which were distributed and posted by employees in public places near MikLin’s stores, not only contained maliciously untrue statements, but also disparaged MikLin’s product with an intent to injure MikLin’s reputation in a manner that showed unprotected disloyalty pursuant to the Jefferson Standarddoctrine. In contrast to his colleagues and the Judge, Member Johnson would have dismissed the allegations related to the poster campaign. In agreement with the Judge, the panel unanimously found that, under the totality of the circumstances, MikLin’s president’s questioning of a union supporter about another union supporter’s views was not shown to violate Section 8(a)(1), and that, where there was no dispute that employees were permitted to post literature on the company’s general-use bulletin boards, it was unlawful for MikLin to remove the union’s flyer from the bulletin board. The Board found that certain statements made by MikLin’s agents on an antiunion Facebook page that encouraged employees to harass an employee because of his union support violated Section 8(a)(1). In contrast to her colleagues, Member Schiffer would also find MikLin’s owner’s participation in public humiliation of the employee union supporter on the Facebook page would reasonably interfere with, coerce, and restrain employees in violation of Section 8(a)(1). Charges filed by an Industrial Workers of the World. Administrative Law Judge Arthur J. Amchan issued his decision on April 20, 2012. Chairman Pearce and Members Johnson and Schiffer participated. Newspaper and Mail Deliverers’ Union of New York and Vicinity (NYP Holdings, Inc., d/b/a New York Post) (02-CB-01740, et al. ; 361 NLRB No. 26) New York, NY, August 21, 2014. The Board unanimously adopted the Administrative :Law Judge’s findings that, as separately alleged in the consolidated complaints, the Respondent Union (the Union) violated Section 8(b)(1)(A) and (2) of the Act by entering into and enforcing separate agreements with the New York Post (the Post) and the New York Times (the Times) which gave the bargaining unit employees of City and Suburban Wholesalers (C&S), a wholly owned subsidiary of the Times, preference in transfers to the Post and the Times when C&S closed in early 2009. The Judge found that the Union’s use of “industry-wide priority numbers” to set the priority of former C&S employee transfers to the Post and the Times was unlawful because it gave priority to certain former C&S employees based on their union membership and/or their seniority arising from their work for union signatory employers over other employees (whether of the Post or C&S) whose seniority was based solely on their seniority within their own bargaining units. As to a related issue in the Times case, the Judge found that the Union violated the Act because the agreement also gave some former C&S unit employees preference in opting for buyouts over other C&S unit employees based on union rather than unit seniority. As to the Post case, the Board unanimously adopted the Judge’s findings that the Union violated Section 8(b)(1)(A) and (2) by: (a) maintaining and enforcing a provision of the parties’ collective-bargaining agreement because it gave certain employees of other union-signatory employers automatic preference in hiring on a daily basis at the Post based on their industry-wide priority numbers over certain Post employees who were not union members; and (b) placing a “freeze” on the promotion of the Post’s own employees who were not union members so that former C&S employees could transfer to positions at the Post based on their union seniority, positions that, but for the freeze, the Post’s own employees would have filled. The Board unanimously adopted the Judge’s finding that the Union violated Section 8(b)(1)(A) by failing to inform Post employees whom it sought to obligate to pay dues or agency fees under a union-security clause of their right underNLRB v. General Motors Corp., 373 U.S. 734 (1963), to be and remain nonmembers, and of the rights of nonmembers under Communications Workers v. Beck, 487 U.S. 735 (1988), to object to paying for union activities not germane to the Union’s duties as bargaining agent, and to obtain a reduction in dues and fees for such activities. Finding merit in the General Counsel’s exception to the Judge’s failure to find that the Union also violated Section 8(b)(1)(A) by failing to inform the C&S employees of their General Motors and Beck rights, the Board unanimously found the violation. Finally, the Board unanimously adopted the Judge’s finding that the Union violated Section 8(b)(1)(A) by threatening to bar Daniel Altieri, a former C&S employee, from employment because of an alleged dues arrearage. The Board found that the Union did not establish that Altieri actually incurred the purported dues arrearage at issue. The Board also found that, even if the Union had established a dues arrearage, its threat to bar Altieri from employment was unlawful because it threatened to preclude Altieri from employment at “any employer” whose employees were covered by a union contract in a bargaining unit separate from the C&S unit. See, e.g., Iron Workers Local 118 (Pittsburgh Des Moines Steel Co.), 257 NLRB 564, 566 (1981), enfd. 720 F.2d 1031 (9th Cir. 1983). Charges filed by individuals. Administrative Law Judge Raymond P. Green issued his decision on February 8, 2012. Chairman Pearce and Members Miscimarra and Schiffer participated. Three D, LLC d/b/a Triple Play Sports Bar and Grille (34-CA-012915 and 012926; 361 NLRB No. 31) Watertown, CT, August 22, 2014. The Board unanimously found that the Respondent violated Section 8(a)(1) of the Act by unlawfully discharging two employees for their protected, concerted participation in a Facebook discussion in which they complained about perceived errors in the employer’s tax withholding calculations. One of the discharged employees was terminated for selecting the “like” option in responding to a Facebook posting. The other referred to the company co-owner with an expletive. The unanimous panel also found that the Respondent unlawfully threatened employees with discharge, interrogated them about their Facebook activity, and threatened one of the discharged employees with legal action because of his protected post. In finding the unlawful discharges, the Board stated that the test set out in Atlantic Steel, by which the Board determines whether an employee loses the Act’s protection for opprobrious workplace conduct occurring during otherwise protected activity, is not well-suited to address statements involving employees’ off-duty, off-site use of social media to communicate with other employees or with third parties. Rather, the Board assessed the comments under the Supreme Court cases Jefferson Standard andLinn and concluded that the statements were neither disloyal nor defamatory under those standards and did not lose the Act’s protection. A majority consisting of Members Hirozawa and Schiffer additionally found that the Respondent unlawfully informed the employees that they were being discharged because of their Facebook activity and that the Respondent unlawfully maintained an “Internet/Blogging” policy in its employee handbook. In finding the policy unlawful, the majority found that the rule’s prohibition of inappropriate discussions on the internet was vague and that employees would reasonably read it to prohibit discussions relating to their terms and conditions of employment, especially in light of the unlawful discharges. Member Miscimarra dissented from the finding that the Respondent unlawfully informed the employees they were being discharged, as he found this was part of the res gestae of the unlawful termination and not a separate violation. In dissenting from the finding that the internet/blogging policy was unlawful, he found that the majority erroneously used the unlawful discharges to find the unrelated handbook policy unlawful, although the Respondent did not refer to the policy in discharging the employees. He additionally found that the use of general language in the policy did not make it impermissibly vague, as employees would understand that it was intended to prohibit revealing confidential and proprietary information or engaging in serious misconduct. Charges filed by individuals. Administrative Law Judge Lauren Esposito issued the underlying decision on January 3, 2012. Members Miscimarra, Hirozawa, and Schiffer participated. Altech Services, Inc. (22-RC-114472) Jersey City, NJ, August 19, 2014. No exceptions having been filed to the Regional Director’s recommendation of disposition of objections to the rerun election held July 10, 2014, the Board certified that a majority of the valid ballots were not cast for Transport Workers Union Local 229 and that it is not the exclusive collective-bargaining representative of the bargaining unit employees. Petitioner – Transport Workers Union Local 229. BFI Waste Services d/b/a Allied Waste Services of Brewton (15-RM-124563) Brewton, AL, August 20, 2014. Decision and Order adopting the Regional Director’s findings and recommendations and remanding the case to the Regional Director for further appropriate action. The Board adopted the Regional Director’s recommendation to defer ruling on a challenged ballot pending the resolution of an arbitration case that will determine whether the challenged individual was discharged by the Employer for just cause. Petitioner – International Brotherhood of Teamsters, Local Union 991. Members Miscimarra, Hirozawa, and Johnson participated. Crew One Products, Inc. (10-RC-124620) Atlanta, GA, August 21, 2014. Order denying the Employer’s request for review as not raising any substantial issues regarding whether the Regional Director erred in directing an election in a unit of all stagehands employed by the Employer. Chairman Pearce and Member Schiffer agreed with the Regional Director’s determination that the stagehands were not independent contractors. Member Miscimarra would grant review on the basis that the Regional Director and the Employer had identified substantial questions as to whether the stagehands were independent contractors and not employees. The Board also denied the Petitioner’s request for review concerning the eligibility formula applied by the Regional Director. Petitioner – International Alliance of Theatrical Stage Employees. Chairman Pearce and Members Miscimarra and Schiffer participated. Mana-Terry Dowd, LLC (13-RC-124648) Chicago, IL, August 21, 2014. No exceptions having been filed to the hearing officer’s disposition of challenges and objections to an election held April 25, 2014, the Board directed the Regional Director within 14 days to open and count the ballots of William Mansfield, Carl Fleming, and Josh Johannpeter, and prepare a revised tally of ballots. If the revised tally does not show that Petitioner received a majority of the vote, the election held April 25, 2014 must be set aside and a second election held. Allied Stone Company (25-RD-131754) Milan, IL, August 22, 2014. Order denying the International Union of Operating Engineers, Local No. 150’s request for review of the Regional Director’s decision and direction of election and request for oral argument. The Board rejected the Union’s request that it extend the contract bar doctrine to cover 5-year collective-bargaining agreements. Petitioner- Jesse Hare, an individual. Members Miscimarra, Hirozawa, and Johnson participated. River Falls Healthcare, LLC d/b/a Kinnic Health and Rehab (18-CA-106165 and 110713) River Falls, WI, August 19, 2014. No exceptions having been filed to the Administrative Law Judge’s findings that the Respondent had engaged in certain unfair labor practices, the Board adopted her findings and conclusions and ordered the Respondent to take the action set forth in the Judge’s recommended Order. Charge filed by United Food and Commercial Workers, Local 1189. Administrative Law Judge Thomas M. Randazzo issued his decision on July 7, 2012. Caribbean Restaurants, LLC d/b/a Burger King (12-CA-125812) San Juan, PR, August 20, 2014. Order denying the petition filed by Caribbean Restaurants, LLC d/b/a Burger King to revoke subpoena duces tecum. The Board found that the subpoena sought information relevant to the matter under investigation and described with sufficient particularity the evidence sought. Further, the Board held that the employer failed to establish any other legal basis for revoking the subpoena. The Board also denied the Employer’s request for costs, attorney fees, and additional relief. In addition, the Board stated that it evaluated the subpoena as modified in several respects by the Region. Members Miscimarra, Hirozawa, and Johnson participated. Aeronautical Industrial District Lodge 776, affiliated with International Association of Machinists and Aerospace workers, FL-CIO (Lockheed Martin Aeronautics Co.) (16-CB-120321; JD(NY)-35-14) Ft. Worth, TX. Administrative Law Judge Joel P. Biblowitz issued his decision on August 18, 2014. Charge filed by an individual.